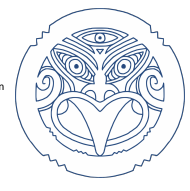 Hapaitia te ara tika pumau ai te Rangatira mo ngā uri whakatipu – Foster the pathway of knowledge to strength, independence and growth for future generations. The school pool is now officially closed for the season. Key holders, please return your pool key as soon as possible to the office please. Swimming Prize Giving will be held today at 9am during Ranginui Hui. Learning Conferences are on this week (Tuesday 9th and Wednesday 10th). Thank you to all of you who have made bookings. Online bookings are now closed but if you still need to make a booking, please make contact with your child’s classroom teacher or the school office. School closes early on Tuesday at 12:30pm so Learning Conferences can take place. Please make arrangements for the care of your children. We encourage that toys do not come along to school but if your child chooses to bring along a toy it is their responsibility while at school. Wear jeans (denim) to school on Friday as it is Jean’s last day with us – it’s cool on this day to double the denim up! Jean’s farewell assembly will be held on Friday afternoon in the hall. This will begin at 2:15pm. CRE (Christian Religious Education) will continue in its current format for the rest of 2019. CRE will be reviewed again early in 2020. Our Staff Only Day will be held on Friday 17th May this year – earlier than in past years. This day is put aside for staff professional learning and will take the focus of Teaching as Inquiry and how collaborative practices enhance this.